The Scosche BT102 Earbuds with Bluetooth 4.2 are the perfect solution for those looking to get away from the standard plug-in earbuds. Wirelessly stream music from your Smartphone to these Bluetooth enabled earbuds up to 33-ft away. The high-efficiency dynamic drivers provide full range acoustic reproduction. Don't let yourself get tied down to your Bluetooth device with limited range. 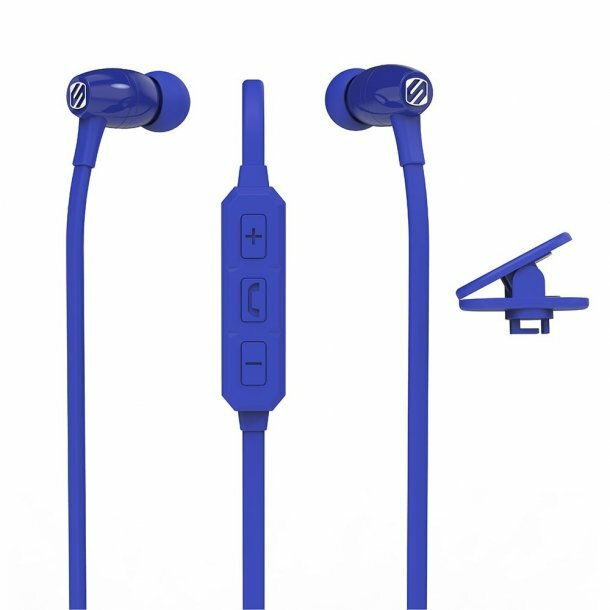 Certified IPX4 rated to keep the earbuds protected from sweat and splashes of water. Adjust volume and control music; next/previous by pressing the + and – buttons. Answer/Hang up voice calls and pause/play by pressing the center button.